On the 28 October 2018 The I Can Sing! 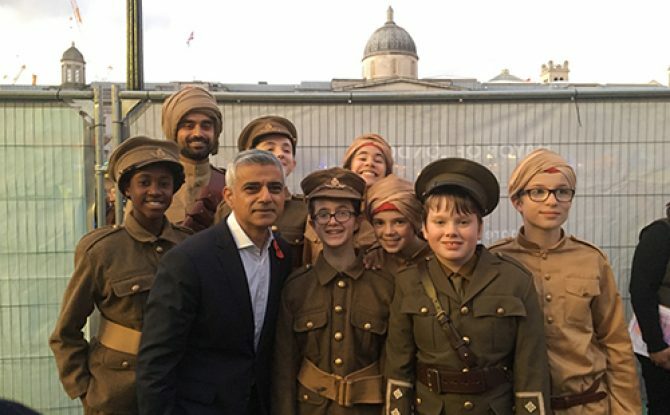 Music Theatre Programme Seniors and Richard Sumitro performed excerpts from Trench Brothers to a crowd of thousands (including the Mayor himself), at the Mayor’s Diwali Festival at Trafalgar Square. Alongside the performance, The Royal British Legion showcased the Indian section of our Trench Brothers Exhibition at the Festival. We were very honoured to be part of this great event – a fitting end to the Trench Brothers project. 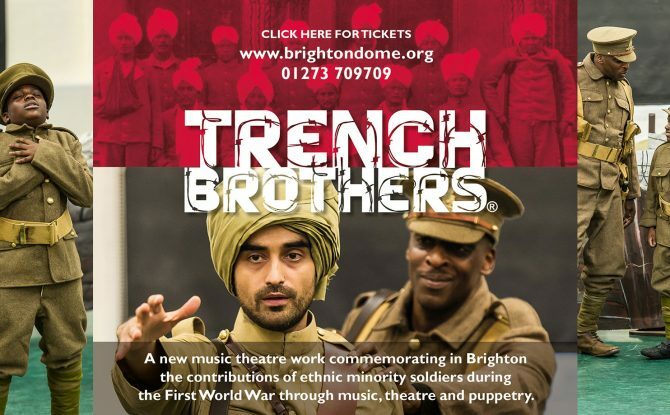 Ahead of HMDT Music’s Trench Brothers premier on Wednesday 17th October at Brighton Dome, award-winning Kamila Shamsie has written this wonderful article about not only the history behind the project but also its relevance for today.